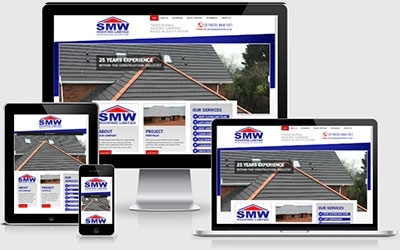 We worked with SMW Roofing in 2014, when they required a bespoke admin panel created so they could control certain elements of their website. Their latest requirement was to ensure their online presence rendered correctly in all devices, tablets and mobiles. This is especially important nowadays with Google factoring in mobile-friendliness when ranking websites in their search engine. We gladly helped to provide a responsive solution, maintaining the firm's branding throughout.